The Humane Association of the Lowcountry (HAL) is devoted to enhancing the lives, adoption rates and experiences of homeless cats and dogs living in Beaufort County, SC. The amount of support we can provide is limited primarily by donations, availability of rescuers and foster families as well as forever homes. 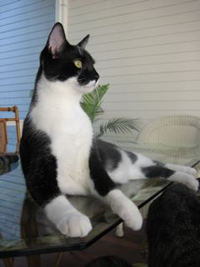 HAL evolved from the Beaufort Humane Association in September 2005. We do not have a building. Volunteers work out of their homes. HAL is all-volunteer non-profit charity and 98% of the money that is donated is used to help the animals in foster care. We also partnered with The Community Foundation of the Lowcountry (CFL). CFL provides HAL with resources, advice and support – including fund raising, accounting, and ability to use their 501c3 tax deductible status. HAL operates solely on private contributions. Please consider making a monetary donation or volunteering some of your precious time to foster or use your business skills and imagination to enhance HAL’s ability to support the animals in Beaufort County.